Search For "Agriculture" Companies in Saint Paul, Minnesota - Click Here Now! Moore Cleaning Services Is A Leading Expert In Residential And Commercial Cleaning In The Twin Cities Area Offering A 20% Discount For All New Customers For First-time Service. We Use Only Green-certified And All-natural Products And Procedures. 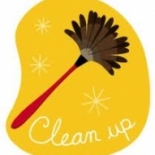 We Provide Flexible Scheduling Options, Move-in/out, And One-time Cleans As Well. Visit Our Website For More Info! Moore Cleaning Services in Saint Paul is a company that specializes in Lawn & Garden Services. Our records show it was established in Minnesota.